We can have a fully trained and Qualified Electrician with you in North Finchley on the same day or on a day that suits you. Our team of North Finchley electricians are available for emergencies 24 Hours a day 7 Days a week. Seniour citizens can receive a 5% discount when booking a North Finchley electrician. No Call out charge for booking a North Finchley electrician, just a clear and simple method of charges, see our charges page for more information. 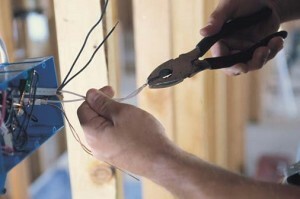 Need a North Finchley Electrician? Call now. We not only provide you with North Finchley electricians, we have a specialist range of workforce from drainage engineers who can take care of a blocked drain at short notice, or a plumber should you need one. See links below. North Finchley is an area of North London in the Borough of Barnet, situated about 7 miles north west of Charing Cross. North Finchley’s centre is based on Tally Ho Corner, where the junction heads to East Finchley, Finchley Central and Whetstone. It is mostly a residential and shopping area, with numerous shops and many restaurants. The area has mainly 19th century houses varied from quaint Victorian cottages to much larger Victorian double fronted houses. There is also a dominant Edwardian style going towards Woodside Park and Nether Street but with some more up to date houses, probably built between 1920s and 1970s, near Friern Barnet.